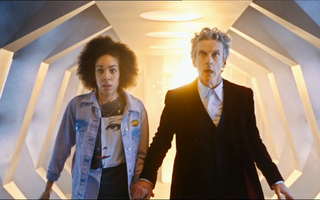 The BBC have finally revealed the new companion and that is Bill, played by relative unknown Pearl Mackie. So far it appears she is being heavily based on Donna as her first appearance shows her to be a quite gobby person who can’t be quiet. If this is her introduction I’m not convinced as one of our first ever lines from her is ‘it’s too fat’ when talking about a Dalek. Obviously this is only a first impression and time will tell.